Before providing local service in a service area, the competitive local exchange carrier (CLEC) is required to submit a comprehensive 9-1-1 Plan to the Minnesota Public Utilities Commission. This 9-1-1 Plan is to detail how the CLEC will provide 9-1-1 service to its customers. In the case of a reseller of local exchange service provided by an underlying carrier, the reseller 9-1-1 Plan helps to ensure that the underlying carrier will handle the resellers' subscribers in a commensurate manner and offers assurances that the underlying carrier understands the requirements for 9-1-1 service in the metropolitan area. 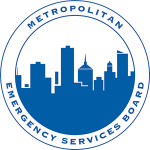 The Metropolitan Emergency Services Board has prepared a comprehensive manual for the metro area reseller. This manual includes an overview of the metro area 9-1-1 system, necessary contacts for both the Board and the State of Minnesota, Metropolitan Emergency Services Board Network and Database Standards, the Minnesota Statute and Rules for 9-1-1, and the necessary support information and materials that will be necessary to complete a reseller 9-1-1 Plan. Before providing local service in a service area, the competitive local exchange carrier (CLEC) is required to submit a comprehensive 9-1-1 Plan to the Minnesota Public Utilities Commission. This 9-1-1 Plan is to detail how the CLEC will provide 9-1-1 service to its customers. The Metropolitan Emergency Services Board has prepared an outline of the 9-1-1 Plan requirements of the Minnesota Public Utilities Commission, Code of Administrative Rules, section 7812.0550. This 9-1-1 Plan template is intended to assist the competitive local exchange carrier in fulfilling the requirements of Minnesota Administrative Rules Chapter 7812 and if followed will direct the preparer to supply information adequate to achieve an acceptable and approved 9-1-1 Plan.